We are sad to report the passing of Renée Asherson, aged 99, on 30 October. 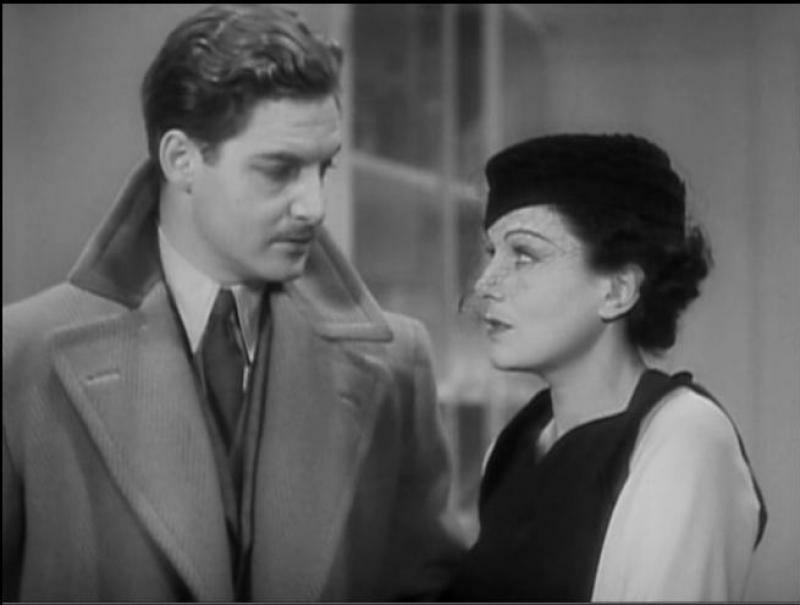 Renée was Robert Donat’s second wife. They married in 1953 and remained married, though separated, until he died in 1958. Renée never re-married. Renée was born in London during the First World War (19 May, 1915), and studied acting at the Webber Douglas Academy of Dramatic Art. Her first stage role was a walk on in John Gielgud’s Romeo and Juliet in 1935. In 1945, she appeared as Millie Southern opposite Robert Donat in Walter Greenwood’s northern comedy, The Cure for Love. In 1947, RD and Renée appeared as Benedick and Beatrice in Much Ado About Nothing, and in 1949 in RD’s film version of The Cure for Love. By now, they were a couple. Renée and RD worked together only once more, in The Magic Box in 1951. In 1953, after RD’s triumph on stage in Murder in the Cathedral, he and Renée were married. After RD’s death in 1958, Renée continued to work both on stage and screen. Her last film appearance was in The Others in 2001. Renée Asherson is perhaps best known for her exquisite performance as Princess Katherine in Laurence Olivier’s 1944 film of Henry V.
A stand-out in her later career came in Memento Mori in 1992, opposite Maggie Smith, Michael Hordern, Thora Hird, Cyril Cusack and Maurice Denham. We send our deepest sympathies to all who are mourning Renée. Priscilla: The Hidden Life of an Englishwoman in Wartime France by Nicholas Shakespeare, which some of you may have been enjoying in abridged form on BBC Radio 4, is the astonishing true story of a young woman’s adventures, and misadventures, in the dangerous world of Nazi-occupied France. 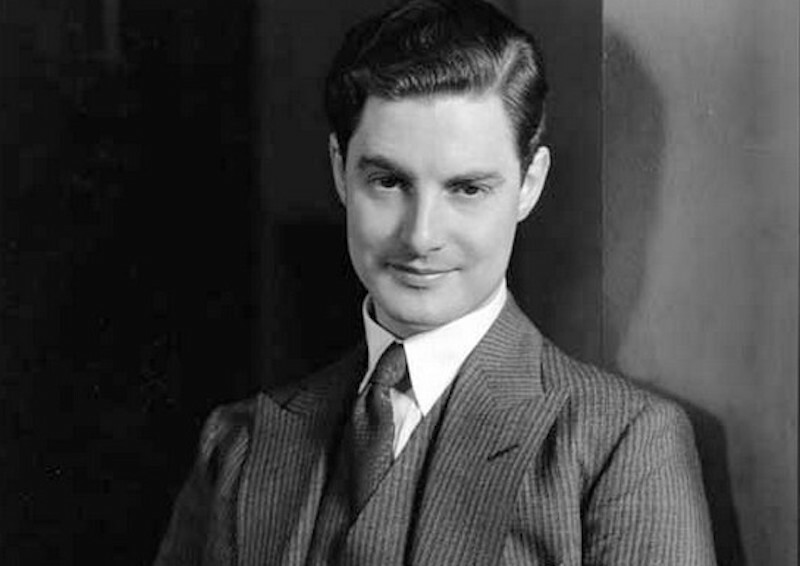 Priscilla’s adventures involve our very own Robert Donat. Readers of both J C Trewin and Kenneth Barrow’s biographies of Robert will find no mention of Priscilla, but amongst his late aunt’s papers, Nicholas Shakespeare found a number of passionate letters to her from Robert, written between January and May 1945. Robert had been introduced to Priscilla by her closest friend, Gillian Sutro. On that evening, Priscilla had never been so alluring or so alone. She stood by the Sutros’ fireplace in her Schiaperelli ivory silk dress that left her neck bare. Donat looked into her ‘mild wild eyes, like a pregnant faun’, and was, he afterwards confessed, ‘enchanted’. They talked and the other guests receded. … An unaccompanied young woman in a humdrum job, reclining in her velvet seat, might with Donat’s assistance shrug off the anxiety of the V bombs and for ninety minutes imagine herself playing opposite a man who, in the opinion of one critic, ‘can make you feel like he is in love with somebody, which few actors can’. The problem was that the thirty-nine-year-old Donat could not spark in himself the same emotion. In 1940, concerned for their safety, his wife Ella had taken their children to Los Angeles. On his own for four years, Donat had rarely been so unhappy as on the evening he encountered Priscilla. He telephoned her the following morning at the Sutros, shaken by what she had unloosed. During the war and Ella’s absence, Robert had been pondering the future of their marriage, returning to his youthful notion of The Ideal Woman. Relationships with Rosamund John and Deborah Kerr had not tempted him to divorce Ella. Priscilla might have been ‘the one’. ‘I swore I would never again take any woman seriously – and here you are beginning to nestle down snugly under my skin, bother and confound you’. But all did not go well, despite Robert’s many adoring letters. Priscilla deserted him to write a book, and Ella returned to England. As we know, Robert would go on to divorce Ella and later, marry Renée Asherson. It is fascinating to catch a glimpse of a part of Robert’s life previously hidden, and the excerpts from his letters to Priscilla are a delight. The story of his aunt Priscilla’s remarkable life is beautifully and tenderly recounted by Nicholas Shakespeare. Please read the book to find out more about Priscilla and Robert, and to discover what made Priscilla and her life so extraordinary. My father served in WW2, and for him the war was a matter of good versus evil, duty and serving your country. Priscilla lived in the shades of grey where one did what one could to survive. What would I have done? And you? Priscilla: The Hidden Life of an Englishwoman in Wartime France by Nicholas Shakespeare is published by Harvill Secker, part of Vintage Publishing. Nicholas Shakespeare was born in Worcester in 1957 and grew up in the Far East and Latin America. He is a prize-winning novelist and biographer and Priscilla draws on his talents in both genres. My thanks to Nicholas Shakespeare for his co-operation and for providing images of his aunt. As always, my thanks to Brian Donat for his help and support.